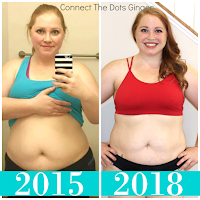 Connect the Dots Ginger | Becky Allen: Healthy Fats For The Win! Say it with me, "HEALTHY FATS ARE GOOD!" I grew up thinking fat was fat, no matter if it was considered good or bad. And fat was BAD. But that is not the case. There are bad fats that we want to and should be avoiding and there are good fats that our body needs! Fats slow down food absorption which helps you feel fuller longer. Fat acts as the reserve energy source for when you need more fuel to burn while working out. They also help to regulate many of the body's hormones plus help to absorb the vitamins and nutrients from the food that you eat. There are Healthy Fats Saturated fats and Trans fats. And anything with "Hydrogenated ______" in the ingredients list, avoid. 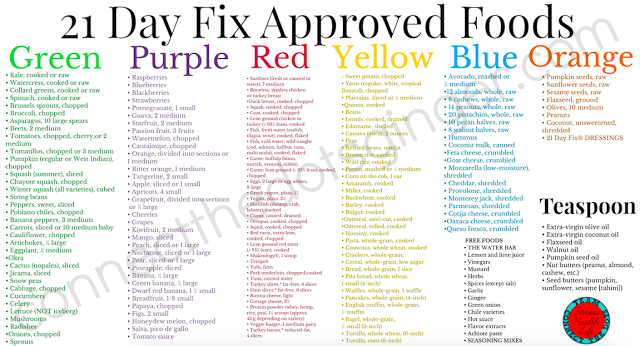 This is why I use my chart of approved foods I can eat. 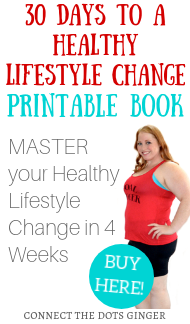 Not only does it help me know what foods I am allowed to eat but I also have a clear and easy way to follow how much of each type of fat I can have. 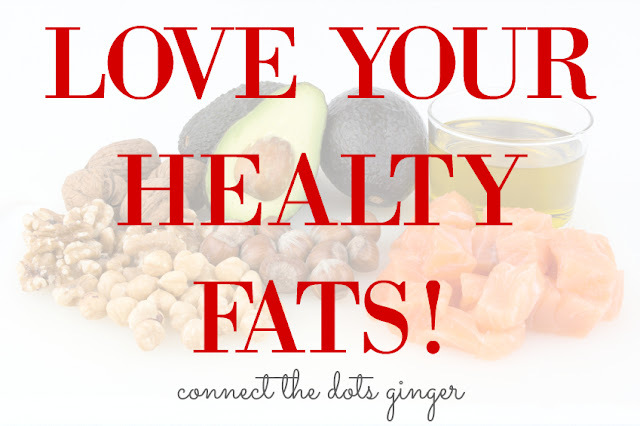 Do not be scared of healthy fats! BE SCARED of anything that says, fat free, diet or sugar free. When I do eat healthy fats, like yogurt, cheese and milk, I aim for full fat. Fat free, diet or sugar free are generally products that have been over processed, use additives or use chemicals as a replacement for sugars. Think aspartame instead of regular sugar. When in doubt, go full out. We have whole milk in our house. 4% cottage cheese. Full fat yogurt and cheese. The key though, is in moderation. I personally don't eat a lot of dairy but I want to make sure that my kids are getting the right kinds of healthy fats and no other chemicals or additives. 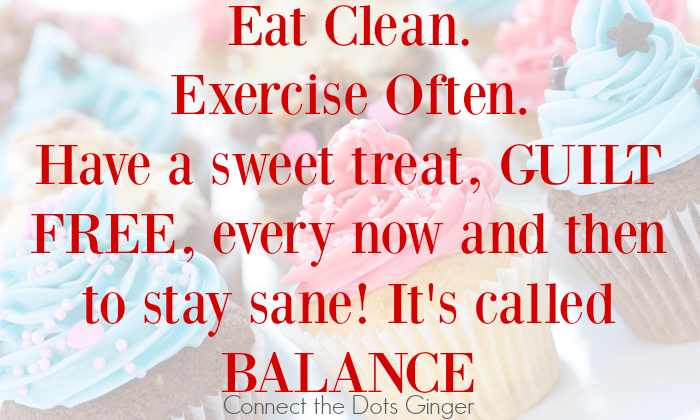 Remember: It is okay to have a sweet or treat on occasion and GUILT FREE! If you are eating healthy most of the time, having a dessert once a week will not derail your results. It will keep you sane! But you have to be honest about it and remember only 1 time, not every day.